Basically I am really a nice person so if I had known I was gonna get blocked I would have used my potty-mouth. I mean I am pretty tame, and I have a reach and engagement of about, oh, let’s say 7 people (including apparently someone in Oman) so in this instance blocking me says WAY more about them than it does about me. As far as I am concerned I spoke the truth and did so in less than 140 characters. I am usually all about the truth but the brevity is always a reach. So if you are hanging out looking for something to do on Wednesday, March 11th, at 6pm EST Twitter is where it is at because some of us farmers are going to be very busy talking about how we steward our land and animals with care, attention, responsibility and an eye to the future and with homage to our past because we are not just raising crops and animals, we are raising the next generation. 2)How about some GOOD NEWS? 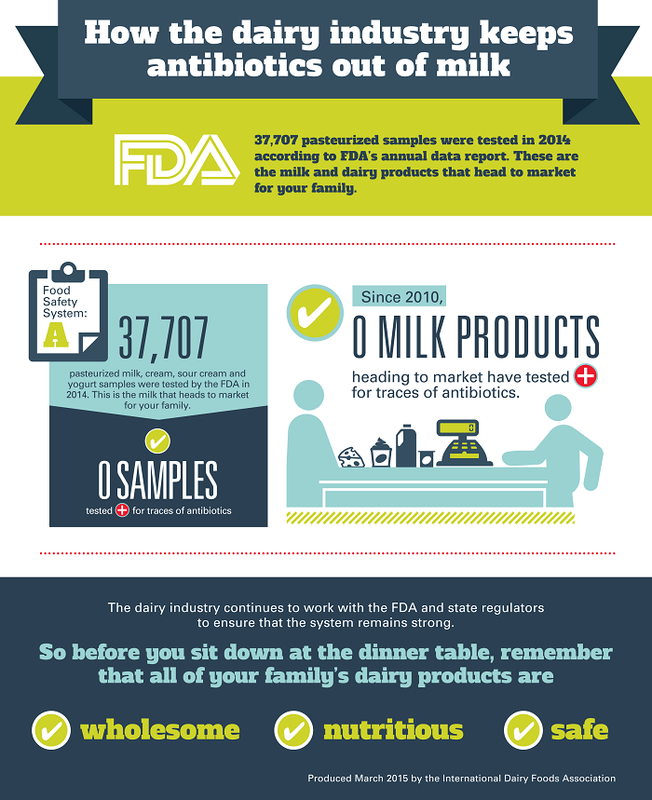 The FDA recently released its milk sampling survey, involving the testing of nearly 2,000 dairy farms (BOTH ORGANIC AND TRADITIONAL). The results? Statistically speaking the presence of antibiotic residues in America’s dairy is non-existence. Even when you get down to the nitty gritty we are talking about .4% revealing presence of residue, which as my daughter says is due “an asterisk” in the findings.. For more information about the survey you can read a Veterinarian’s perspective here and you can read the report in its entirety here. More importantly, you can always ask a farmer. As a matter of fact fellow dairy farmer Mary Mackinson Faber from Mackinson Dairy does a great job explaining some of the efforts that go into keeping our animals healthy and providing some of the finest, safest and highest quality milk to our neighbours, and the world in this post. It should also be noted that presence of antibiotic residue in milk at the farm (as found in the survey) does not automatically indicate a purposeful or pre-meditated misuse of medications. The reasons behind those findings can be anything from human error, clerical error or administrative error. More importantly, because of the fact that there are errors that can be made on farm, samples from each load of milk are taken on farm as well as from the entire load upon delivery at the bottler/processor and tested prior to the milk being unloaded. Should there be an incidence of antibiotic residue the load is not accepted or used (it is condemned) and the offending milk is traced using the samples. America has one of the world’s safest and highest quality dairy supplies. It is unfortunate that NPR’s Dan Charles and Time failed to report out the facts and chose to beat the bushes for boogeymen instead. There is no doubt that America’s dairy supply is among the safest and highest quality in the world. And not just because this farmer tells you, but because the numbers, they don’t lie. In 2014, the FDA tested more than 35,000 samples of milk, cream, yogurt and other dairy foods and found that none of them tested positive for traces of antibiotics. In fact, zero milk products have tested positive for traces of antibiotics since 2010. But never hesitate to ask a farmer. 3) It’s undeniable. Mercer is perhaps the sheep I like most. If you are not following Jami Badershall and her blog Good Tidings from Good Tyddyn then you should. Jami is not only a beautiful writer but she leads life most extraordinary and, did I mention Mercer? 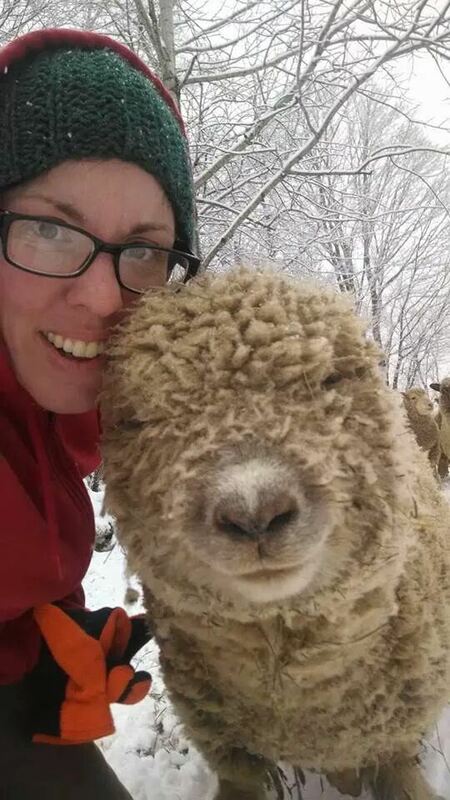 The Unbearable Cuteness of Mercer…dude, this sheep is ALWAYS blissed out.